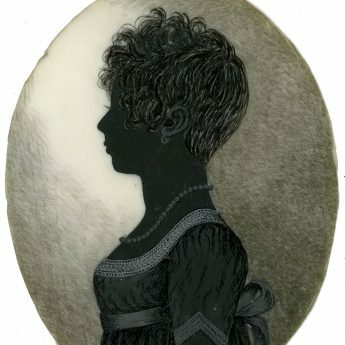 This most attractive silhouette has been painted by T. London of Kidderminster and depicts a young lady named Fanny Page. Fanny is wearing a dress with a square décolletage, short sleeves trimmed with lace, and a high waistline tied at the back with a ribbon bow. 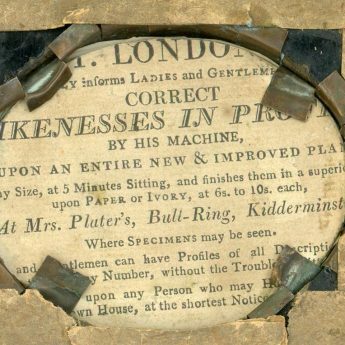 She has a hoop earring and a beaded necklace and her hair is fashionably cropped in the à la Titus style. 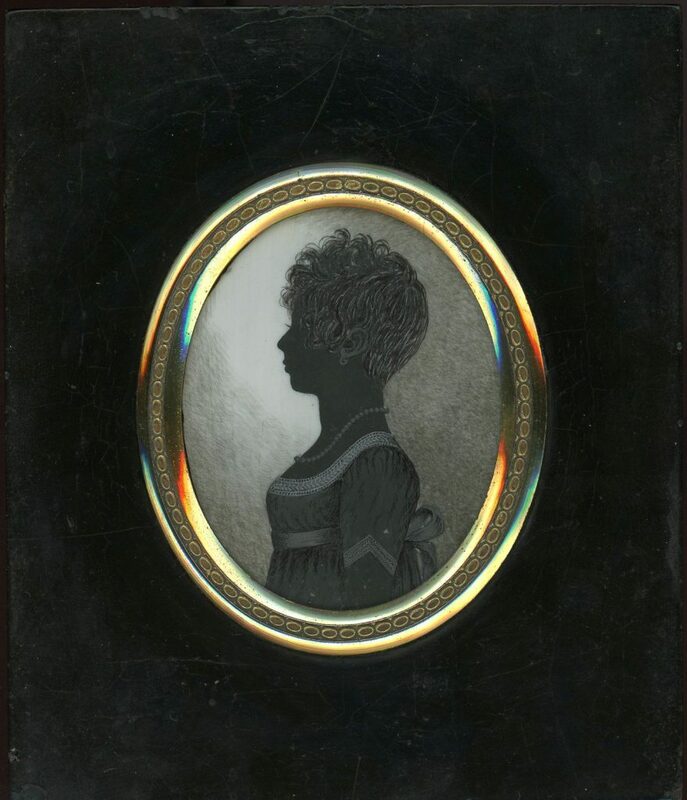 The silhouette is painted on ivory in shades of grey with a hatched background. 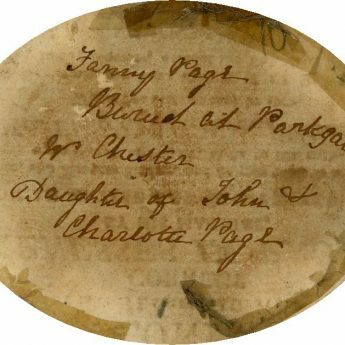 It is housed in the original papier-mâché frame with a decorative surround and is backed with the artist’s trade label (no. 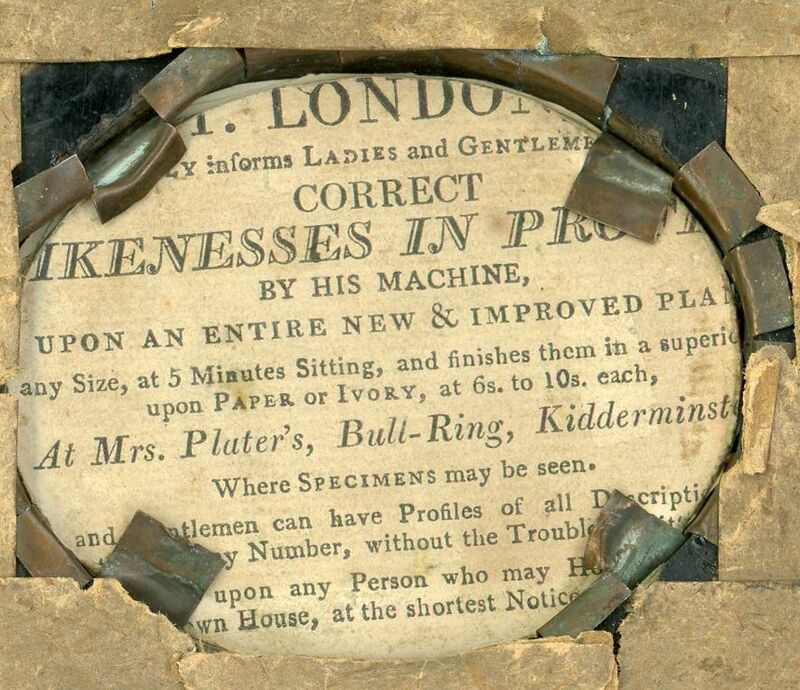 1) used around 1800 whilst he was based at Mrs Plater’s at the Bull-Ring in the centre of Kidderminster. 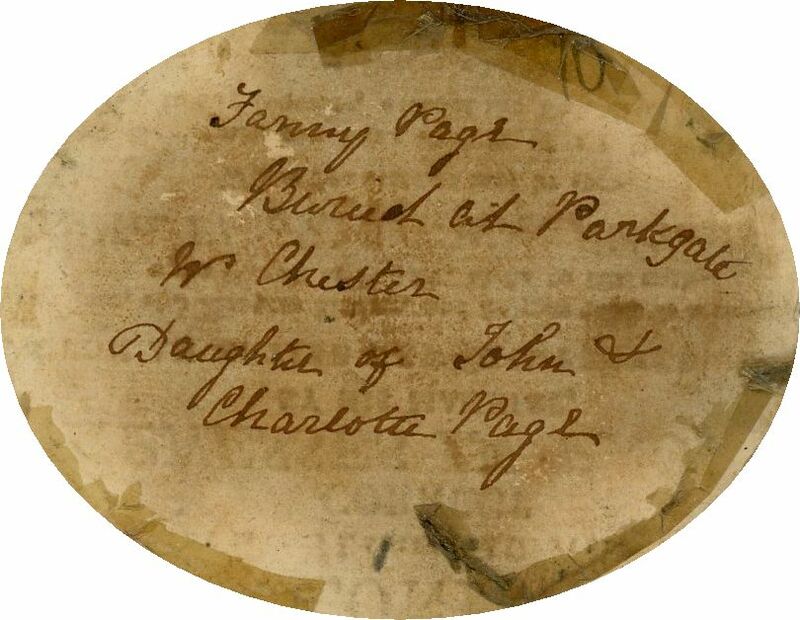 The reverse side of the label has been inscribed with the sitter’s details – “Fanny Page / Buried at Parkgate / Nr Chester / Daughter of John & / Charlotte Page”. 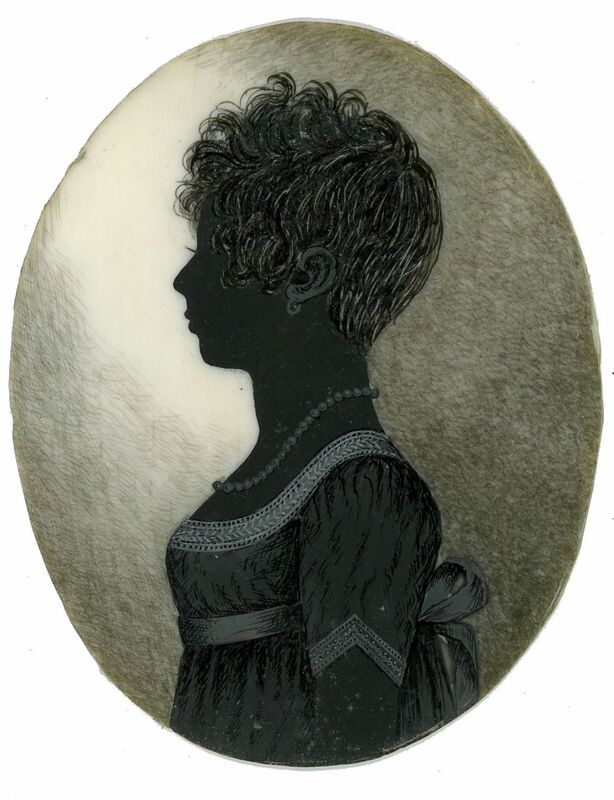 The silhouette is in fine condition with just a couple of small spots of paint loss to the dress. The front part of the hanger is missing.